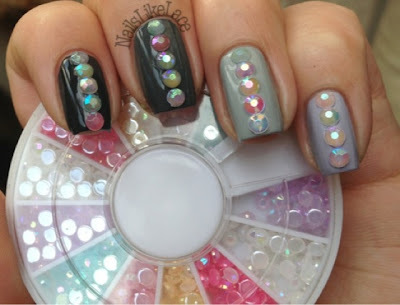 My base for these nails is a sort of ombré look using the 4 Sinful Colors polishes Meredith sent me in our last swap! 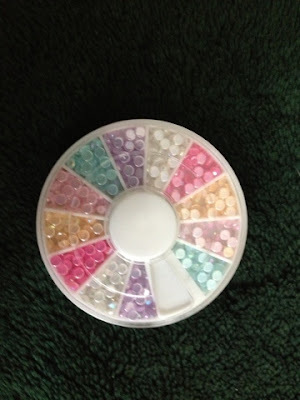 These particular rhinestones come in a twelve-slot wheel and there are 6 different colors: iridescent white, purple, light pink, dark pink, mint green, and yellow. 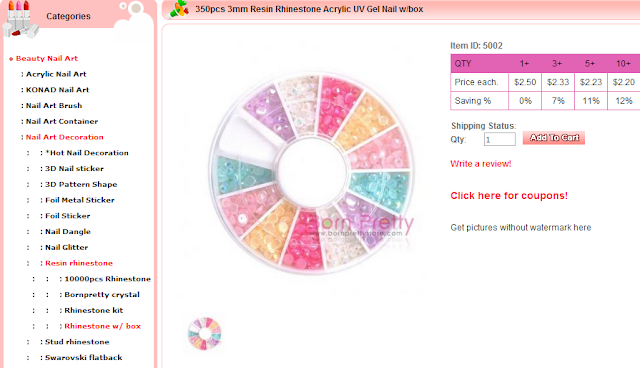 They retail at Born Pretty Store for $2.50 USD and the wheel contains a total of 350 3mm stones. That's an awesome deal! I just love the iridescence and color of these! They will be great to add to a springtime look in the next few months! I always hate putting topcoat over a rhinestone because I feel it ruins them, but these aren't super shiny and gem-y so it isn't as bad! 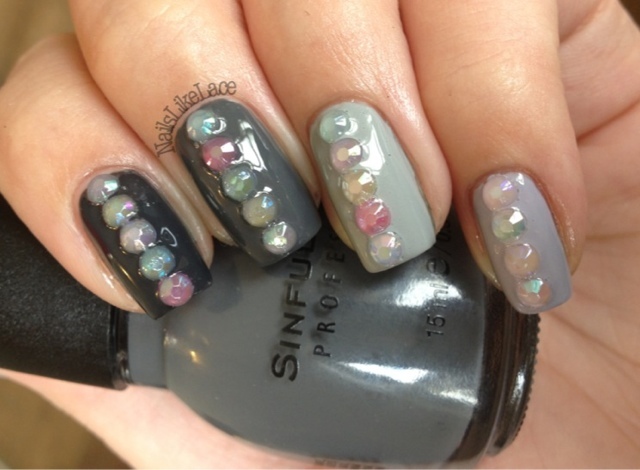 The stone colors are beautiful. The are a nice shape and size. They laid flat and had no problems staying on until I removed them a couple of days later! As always, my coupon code is ANL91. If you use it at the checkout, you will receive 10% off your order, in addition to free shipping. This product was provided to me from Born Pretty Store. I did not receive any compensation. All opinions are both entirely true and completely my own.